Kitchen Unnecessary wouldn't be possible without the support of our Partners. We are very fortunate to work with brands and their products that we use regularly and we are proud to share them. We featured their Adventure Cooler (16qt.) which is super insulated and has a leak proof gasket seal. 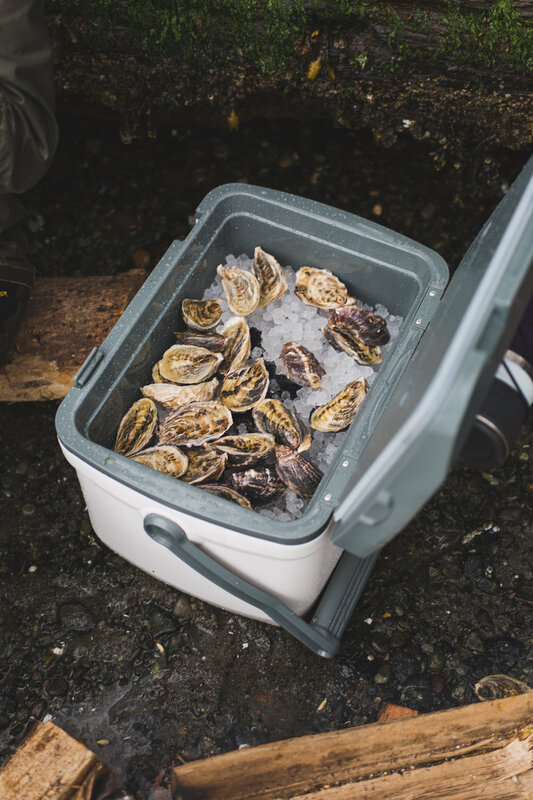 They told us it fits 21 cans, but we prefer to measure the capacity by pounds of fresh oysters. Also featured was their Cocktail Shaker which was already a part of our camping kit. 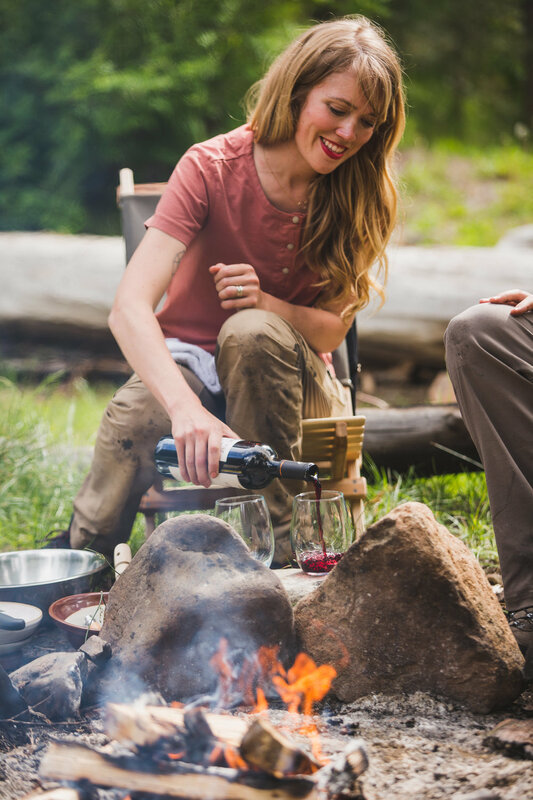 Insulated and rugged, it's the perfect way to enjoy your favorite cocktail outdoors. Also featured are their rugged yet rechargeable lanterns that accompany many of our outdoor adventures. 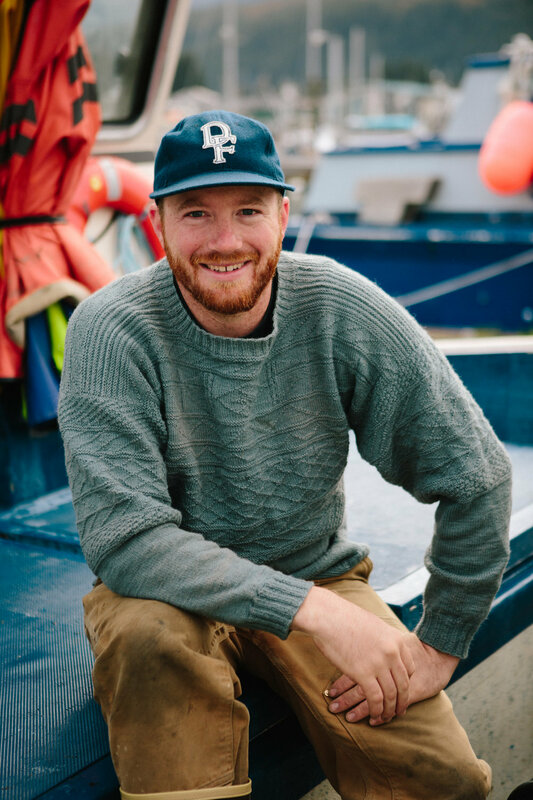 Nelly and Michael helped us in a million ways before and during our time in Alaska. 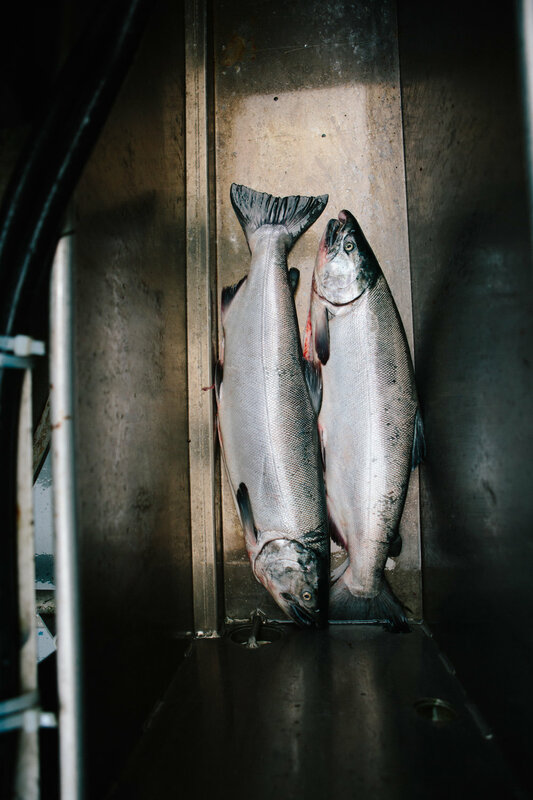 They are a husband and wife team bringing sustainably harvested salmon from the sea to your table and we love their Salmon. 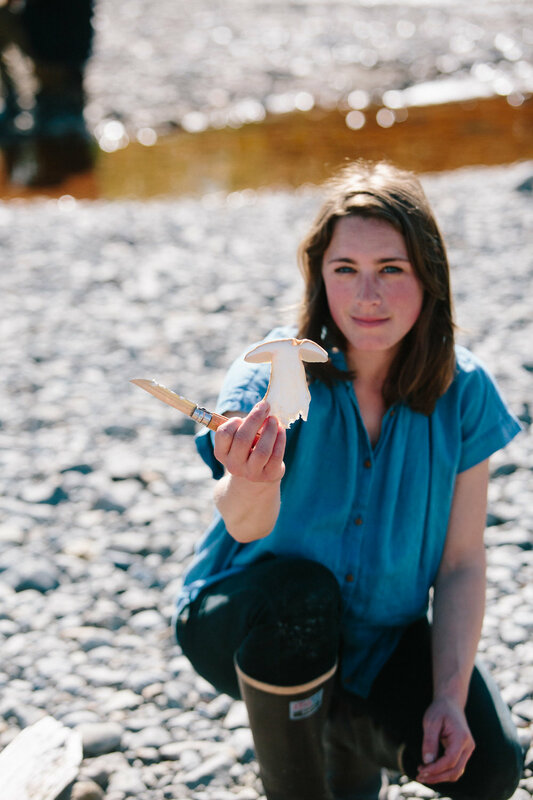 Check out their Smoked Wild Salmon and their Community Supported Fishery. We’re fortunate to have Alaska Airlines headquartered in Seattle and we fly them often. We can also say that the flight from Seattle to Cordova is amazing. Flying over the Alaskan coast is a sight to behold. 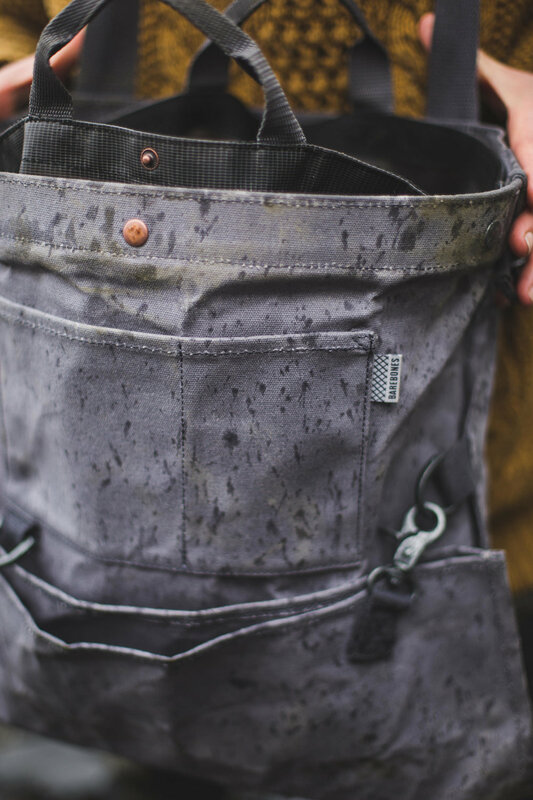 Filson has been outfitting for outdoor adventure since 1897. 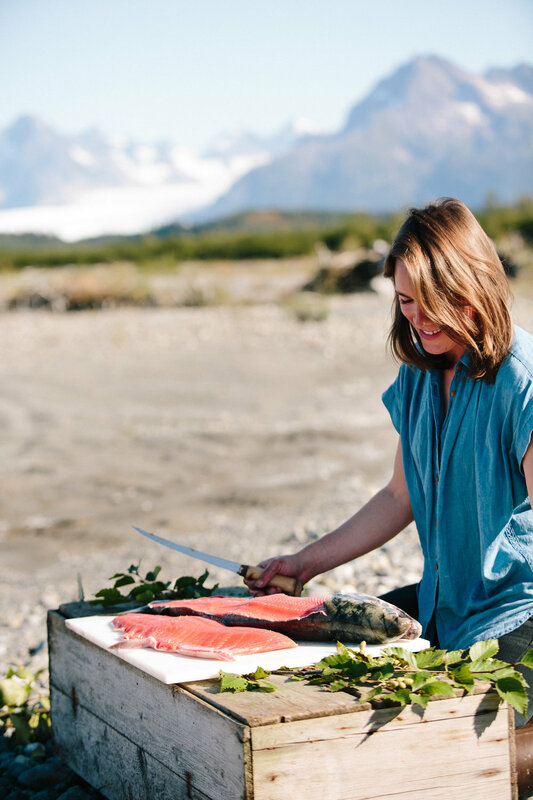 Our Filson 3-Layer Field Jackets held up well in Alaska. And Gabe still wears his Grandpa Don’s 1970’s Forest Green Mackinaw Cruiser which is going strong 40+ years later. 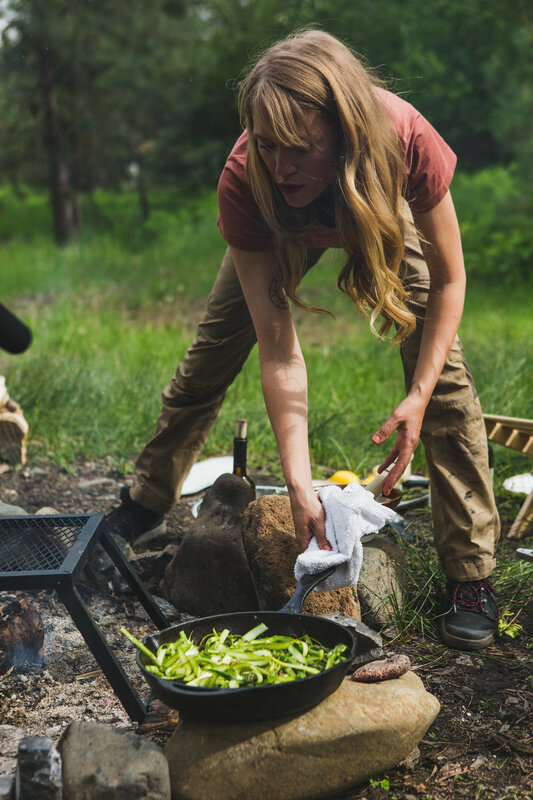 All that to say, we are absolutely thrilled to partner with Filson on Kitchen Unnecessary. 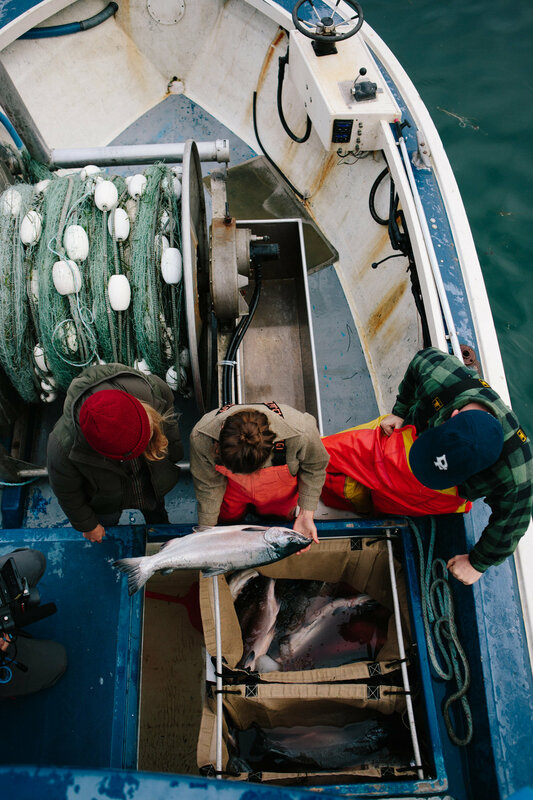 And very grateful to the Downtown Seattle Filson for hosting our Alaska Series Video Premiere. 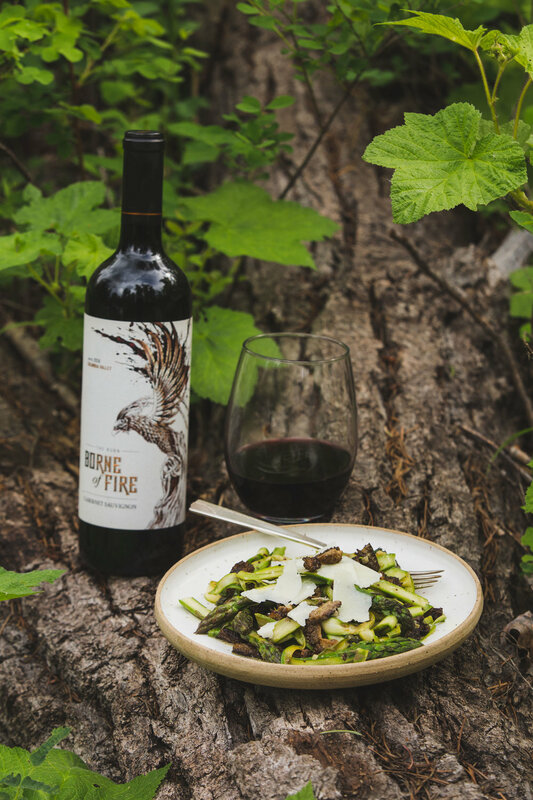 This local Washington produced wine is a perfect pairing with our foraged burn morels. 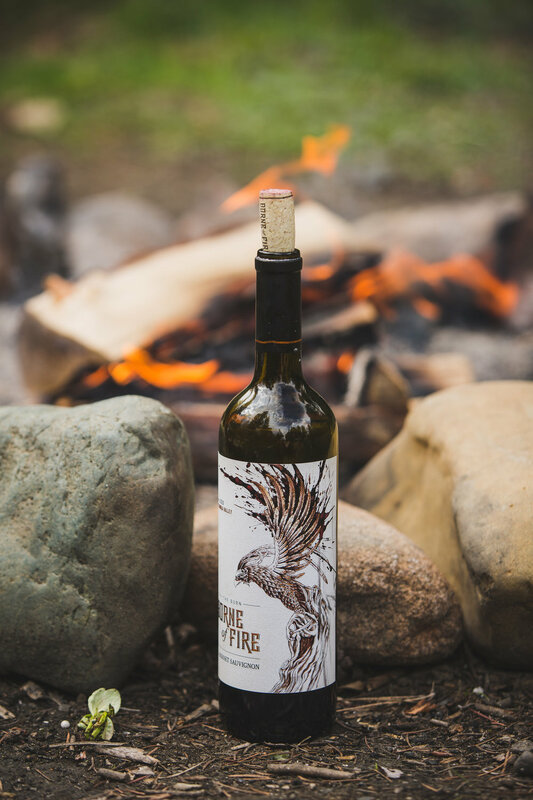 A well balanced Cabernet Sauvignon sourced from a new AVA where early settlers burned their fields every autumn to restart the soil. 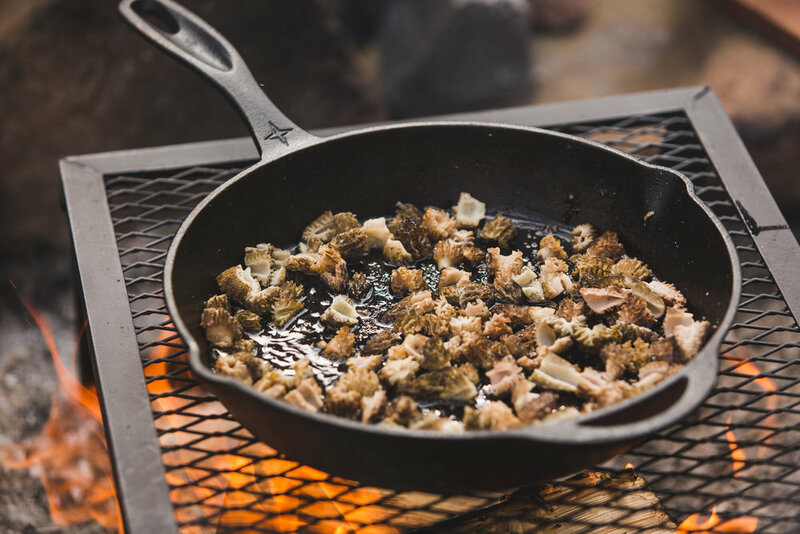 A wonderful pairing for our dinner as well as our campfire. 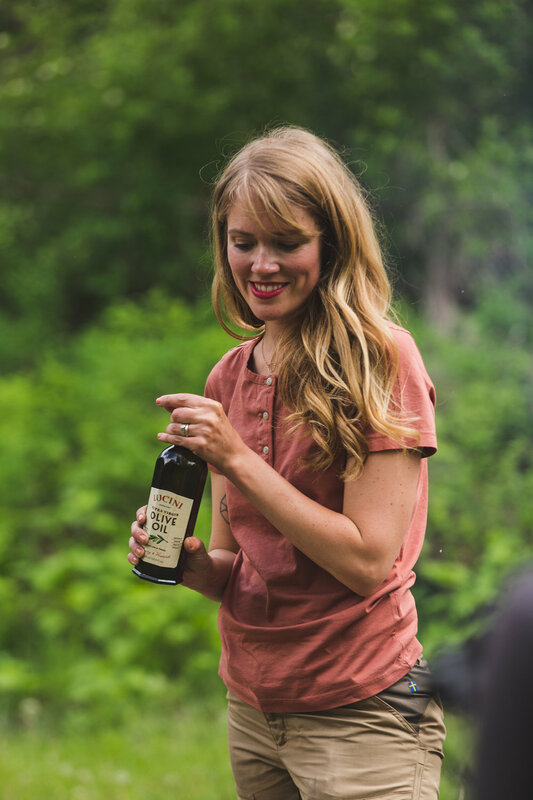 We love cooking with a nice Extra-Virgin Olive Oil and have found ourselves often reaching for Lucini both at home and over the campfire. 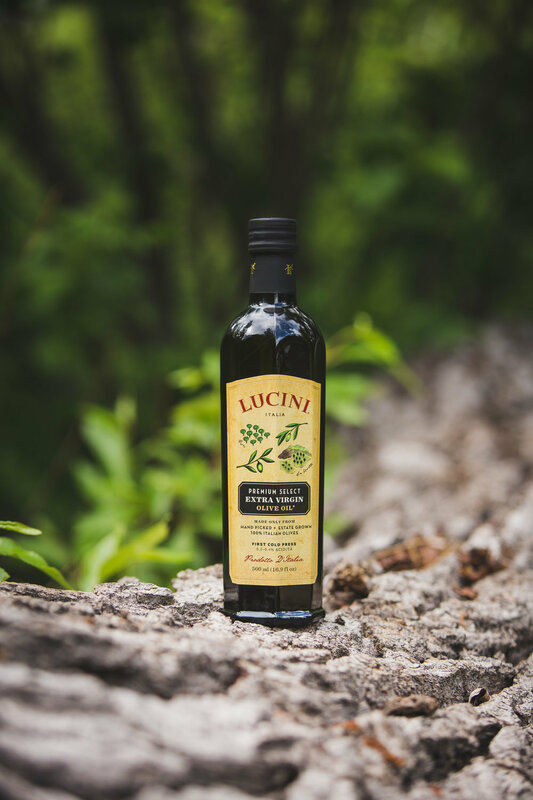 Lucini makes a great everyday olive oil that we love as well as a premium version for those special meals.